(VEN) - The 2017 Asia Golf Tourism Convention (AGTC 2017) organized by the International Association of Golf Tour Operators will take place in the city of Da Nang from May 7 to 13. According to the organizing board, the event will bring together 650 delegates from 36 countries, including representatives from Japan, the Republic of Korea, Hong Kong (China), Thailand, Australia, Belgium, Austria, Finland, France and Western European states. 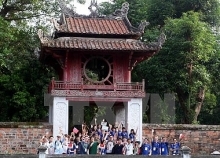 More than 240 golf tour operators have to date registered to attend the convention, which will be a major chance to introduce Da Nang’s sports, tourism and culture offerings. 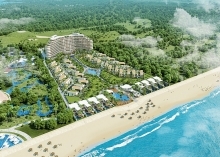 Branded “AGTC on the Beach”, the event includes various activities such as a three-day conference on golf tourism and fact-finding trips to golf courses and destinations in Da Nang and nearby Hoi An. Peter Walton, the chief executive of the International Association of Golf Tourism Operators, says that golf tourism brings higher value compared to other kinds of tourism as many golfers are entrepreneurs and potential investors. In addition, golf tourism is not been greatly affected by the weather, contributing to bringing sustainable growth. “AGTC 2017 will bring together more than 45 percent of golf tour operators worldwide, providing opportunities for promoting high-quality tourism in Da Nang and bolstering regional and global integration of the city,” Peter Walton said. According to the International Association of Golf Tourism Operators, the event will result in an immediate growth in golf tourism to Da Nang and Vietnam, amounting to tourism revenues of an estimated US$20 million this year and up to US$40 million a year during the 2018-2019 period. 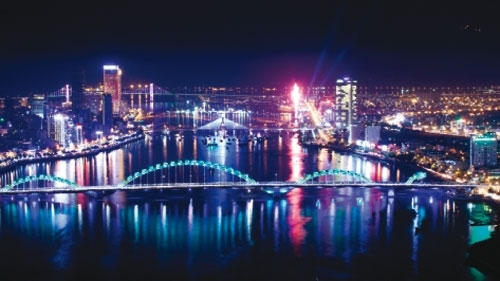 Da Nang People’s Committee Chairman Huynh Duc Tho said that AGTC 2017 is an opportunity to promote high quality tourism of Da Nang and help local businesses and residents get acquainted with the sport. In addition, the presence of 36 countries in this event will contribute to promoting the city’s tourism advertising. Nguyen Xuan Binh, the deputy director of Da Nang Tourism, said that, we are very honored to be staging the AGTC. It will be very good to get many international golf tour operators to see and experience our city, beach resorts and golf courses for themselves. This will obviously help to promote Da Nang as a golf destination and encourage more people to come to the city for golf. We have very beautiful golf courses and our aim is to develop high-end, high quality tourism. Moreover, the event is seen as an opportunity for the city to review infrastructure and service quality in order to be ready for the organization of the Asia-Pacific Economic Cooperation (APEC) summit of heads of state scheduled to be held there at the end of the year.